Enjoy our greatest happy hour in Brixton. 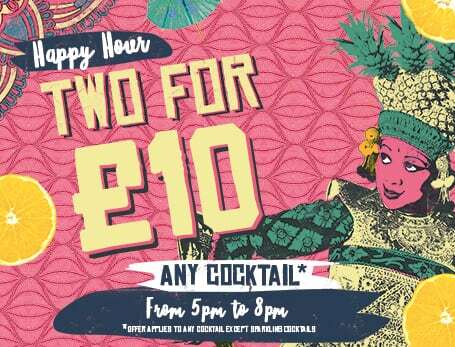 From 5pm to 8pm every day, choose any two of the same cocktails for just £10. *Must be two of the same cocktails when ordering. Offer applies to any cocktail except sparkling cocktails. 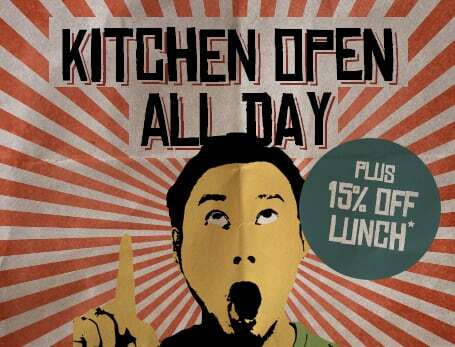 Receive 15% off main dishes when you order between 12pm and 6pm every day. We also have our great Happy Hour deal on so you can save on drinks too! Offer applies to main dishes and sides excluding rice specials and wok noodles, starters and desserts. Dine in only. 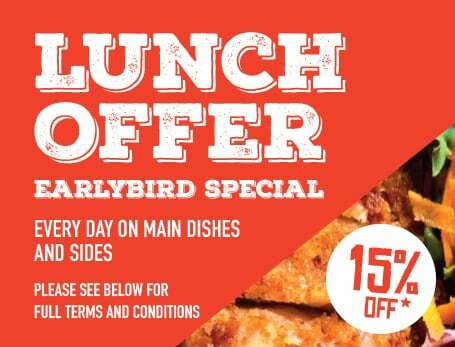 Lunch offer until 5pm, Early evening offer every day of the week 5pm-6pm. Offer available Tuesdays at any time. Cannot be used in conjunction with any other food offers. Organising lunch for the team? Want to spend a night in front of the telly? Then let us do all the cooking and bring delicious dishes to your door. With an average delivery time of 32 minutes, you'll be Sataysfied in no time. 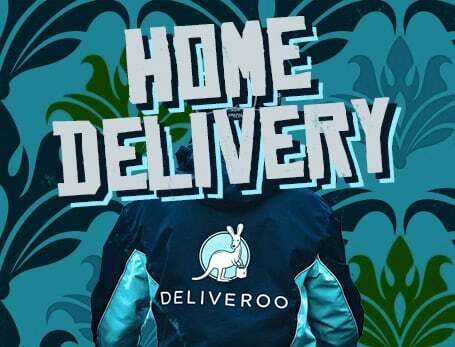 All our deliveries are handled by the highly reputed Deliveroo. Deliveroo delivery fee may apply. 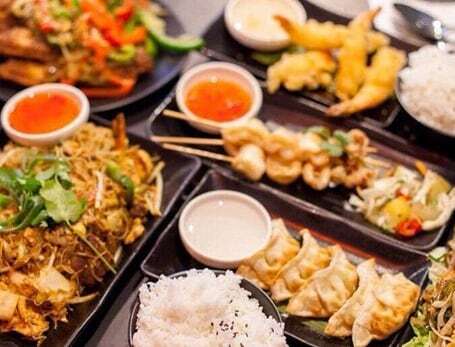 Now you can treat yourself, family or friends to a Satay Bar gift voucher. We'll send directly to your chosen recipient. Satay Bar offers an array of authentic Far-Eastern fare at exceptionally good prices. The voucher is valid for the amount or a meal as described. Once redeemed any outstanding amounts cannot be carried over to a future visit. Credit card details may be required when making the reservation. Booking is essential. Please present your voucher on arrival. Gift vouchers are valid until (and including) the expiry date displayed on the front of the voucher. Gift vouchers cannot be exchanged for cash and change cannot be given. Gift vouchers should be treated like cash and are non-refundable, non-extendable and cannot be exchanged for an alternative or different experience. They cannot be replaced if lost, misplaced or stolen. From birthdays to work parties to business meetings and everything in between, we’d love to host your special event. 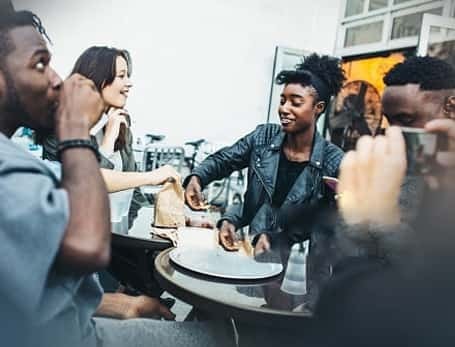 Why not let us take care of everything leaving you more time to enjoy with your friends and colleagues. 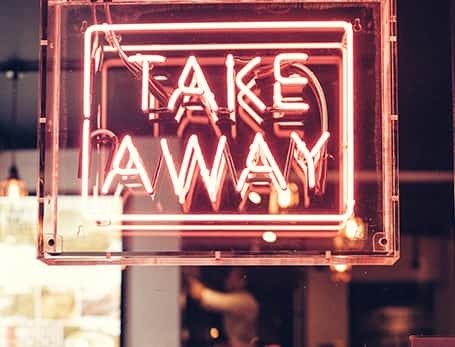 Why not pop in and pick up your takeaway. You can even have a happy hour drink while you wait. * With an average pick up time of 18 minutes, you'll be Sataysfied in no time. Turn your device to portrait to view our site. Southern Gas is currently fitting new gas pipes in Coldharbour Lane. Vehicle access is limited therefore you are advised to find parking in an adjacent road. Satay Bar is operating as normal and will not affect your enjoyment with us.